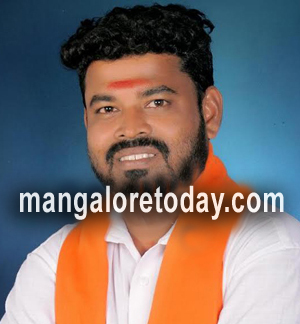 Mangaluru, Apr 21, 2017: Under mysterious circumstances body of Bajranag Dal Bengre convennor was found on the on the shores of Alivebagilu beach on April 21, Friday. The deceased is identified as Jagadish Suvarna(35), son of Anand and Sumitra couple. He was an active Bajarang dal activists from past 15 year and was the convenor of Bengre from couple of months. Family sources said that Jagadish had been to a Mehendi function on Thursday late in the evening. He did not return home, today his body was found on the shores of Alivebagilu. They were injurires on his body ,he is suspected to be murdered. His body has been shifted to Wenlock Hospital for autopsy. Jagadish is survived by wife, two sons and two daughters. A case has been registered in Panambur police station. Investigations are underway.